Stripping an Unsecured 2nd Mortgage in Chapter 7 Bankruptcy. Can it be? | The Law Office of Emil Fleysher, P.A. Stripping an Unsecured 2nd Mortgage in Chapter 7 Bankruptcy. Can it be? | The Law Office of Emil Fleysher, P.A. Home Blog Bankruptcy Stripping an Unsecured 2nd Mortgage in Chapter 7 Bankruptcy. Can it be? Stripping an Unsecured 2nd Mortgage in Chapter 7 Bankruptcy. Can it be? Previously, lien stripping was something that could only be done in Chapter 13. However, a recent opinion from the 11th Circuit has changed that rule. 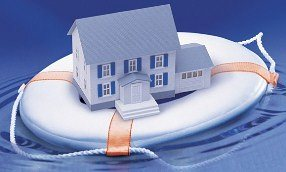 Here, a Chapter 7 debtor in Georgia sought to strip off a second mortgage that was totally unsecured. The 11th Circuit reversed the Bankruptcy Court and found that the lien could be stripped off pursuant to the plain language of the Bankruptcy Code. It was long thought that the Supreme Court’s decision in Dewsnup v. Timm precluded a Chapter 7 debtor from stripping off a lien. However, the Supreme Court only addressed stripping down in Chapter 7. Stripping down is the process of reducing a secured claim to the value of the property it secures. There is a very clear difference between the two. While this is a Georgia case, 11th Circuit decisions are controlling in Florida as Florida is part of the 11th Circuit. Accordingly, it will be interesting to see how bankruptcy judges in our district rule when this new case law is presented before them.